Why does fifteen-year-old Meghan seem so sick when doctors can find nothing wrong with her? Despite a disinterested husband and questioning doctors, Becky, Meghan’s mother, is intent on Saving Meghan. Becky was raised by Cora, her mother, to be able to mimic disease symptoms to achieve Cora’s goal—getting government disability checks. When Meghan also starts to have undiagnosed symptoms, Carl becomes suspicious that Becky is falling back on old habits and causing Meghan’s illness. Eventually even Meghan’s doctors suspect the mental disease Munchausen by Proxy, where a mother gets attention by causing her child’s illness. Is Meghan really sick or is someone causing her symptoms? 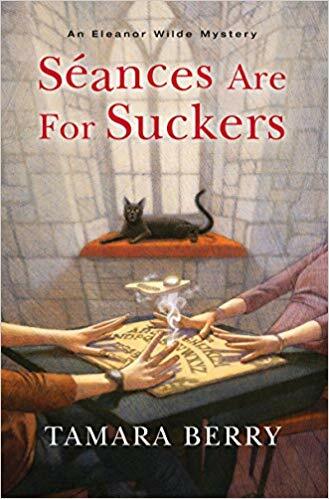 While the book basically hits the reader over the head with Becky’s beauty and manipulation skill, the author is quietly manipulating the reader to believe everyone in turn is causing Meghan’s illness. In addition, none of the characters are sympathetic so if that bothers you, you will not enjoy this book. However, what bothered me the most was the overly dramatic turns in the plot especially the conclusion that was just thrown in at the end without much foreshadowing. The first half of the book was great but then it went downhill for me. 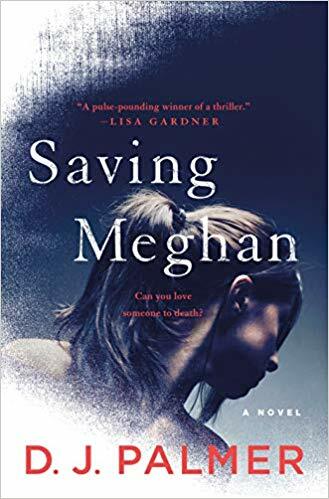 Nevertheless, if you like family suspense with a big chunk of medical drama, you will probably enjoy Saving Meghan. 4 stars! Thanks to St. Martin’s Press and NetGalley for a copy in exchange for my honest review. In House on Fire, Leigh and Pete are returning home early from their fifth wedding anniversary trip when they get a call from Leigh’s fourteen-year-old daughter, Chrissy. She is calling from the police station, where her stepbrother, Pete’s eighteen-year-old son Kip, is in custody. Kip was planning on spending the weekend with friends beginning with a party celebrating Kip’s acceptance into Duke University. After drinking and smoking a bit, Kip is surprised by Chrissy’s appearance at the gathering. She bicycled there after learning that their parents are returning home early in just a few minutes. Kip hadn’t pre-approved his weekend plans or borrowing his dad’s truck to get to the party so he desperately needed to get home before his parents. Kip puts her bicycle in Kip’s dad’s truck and they drive home together. During the drive, they swerve off the road into a ditch and a tree while trying to avoid hitting a dog. When the police arrive, they arrest Kip for driving under the influence. When Chrissy later dies, the charge of manslaughter is added. Kip changes his story and states that Chrissy was driving the night of the accident. 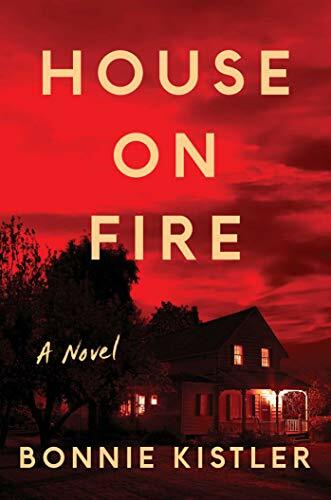 House on Fire was fantastic until the wave of amazing coincidences at the conclusion. Describing them would be a major spoiler. However, I can’t rate this book higher than 3 stars. 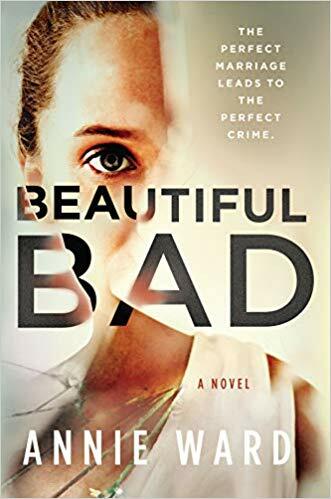 Beautiful Bad tells the story of Maddie and Ian’s relationship that ended in murder. The story starts with a bang: a female calls 911, a child screams in the background and the call is abruptly cut off. When police arrive, they find a large bloodstain on the open concept kitchen’s floor. From that scene, we are shown the story of Maddie and Ian’s relationship from the beginning through the day of the killing and forward. Within Beautiful Bad, the day of the killing sections were fantastic. Unfortunately, you had to slog through a lot of details to get to them. While the end is twisty, it probably won’t be much of a surprise to experienced thriller readers. 3 stars. Thanks to Park Row and NetGalley for a copy in exchange for an honest review. After what appears to be an emergency occurs, why would a friend ask another to Forget You Know Me? Liza and Molly are best friends since childhood. But when Liza moves to Chicago and Molly marries and has two children, they slowly drift apart. They finally get together through Facetime for a girl’s night. When Molly steps away to quiet her daughter, Liza sees a masked man come into Molly’s home. When she tries to warn Molly, the man abruptly closes Molly’s laptop. Liza calls the local police who find no hint of an intruder. But why is Molly acting so strangely? Forget You Know Me is about the lies people tell themselves and each other. It is a slow simmer of a tale. While I enjoyed it, the book moved a bit too slow for me especially in the middle. However, if pacing isn’t a concern for you, the plot is well worth reading. 3 stars. In the Nowhere Child, Sammy Went is two years old when she goes missing from her home in Manson, Kentucky. Twenty-eight years later, Kimberly is living her life quietly in Australia. She is approached by James who says he believes she is his missing sister, Sammy. After seeing a DNA test confirming their relationship, Sammy returns to Manson to meet her mother, father and sister. However, everyone in Manson seems to be hiding something. And what is with the snake-handling church her mother now embraces? After reading thousands of thrillers and mysteries, I’m usually good at guessing the conclusion. However, not in this case. The twists toward the end came fast and furious. 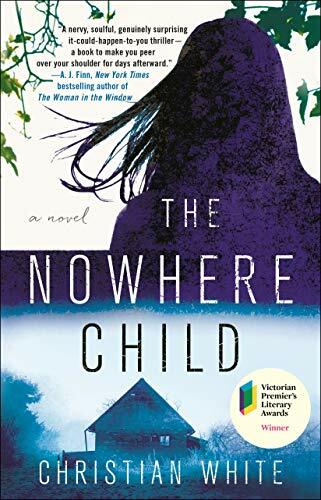 If you want to read a compelling and suspenseful yarn, the Nowhere Child is highly recommended. 4 stars! 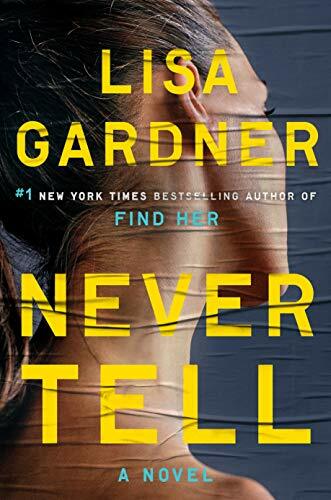 Everyone has secrets in the Perfect Liar. Susannah has finally reached the good life with her second husband, Max, and her son, Freddy. Then a note is tacked to her door, “I know who you are”. Susannah assumes the note is meant for her. However, Max also has secrets to hide. 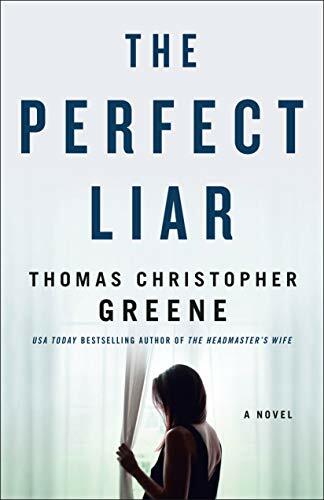 The Perfect Liar is a compelling read. However, I thought some of the plot was left dangling at the end. The two twists were fun. I would recommend this book to thriller readers looking to lose some sleep the night they start reading it. 3 stars. Thanks to St. Martin’s Press and NetGalley for an advance copy in exchange for an honest review. 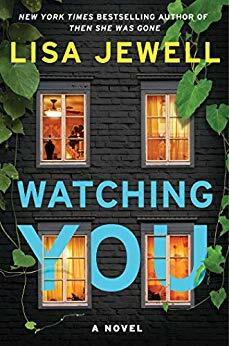 Newlywed Joey has a deep attraction for her married neighbor Tom in upscale Melville Heights, Bristol, England in a new family thriller, Watching You. Everyone is watching everyone in the small neighborhood. Jenna thinks Tom, who is headmaster at her school, has an inappropriate relationship with her best friend, Bess. Jenna’s mum, Frankie, thinks Tom is the leader of a gang who moves her stuff to unsettle her. She has taken to photographing Tom’s house and family at night. Freddie is Tom’s son. He uses binoculars with a camera inside to study the entire village. Nikola is Tom’s wife and Freddie’s mother. Why has she suddenly taken to her bed? She asks Alfie, Joey’s husband, to paint her rented house’s interior. Alfie and Joey live two doors down with Joey’s brother and his pregnant wife Rebecca. There are many characters in this thriller but it was easy to keep them straight due to their strong characterizations. The plot is extremely convoluted with some wild twists and turns. I originally tried to solve Watching You like a mystery. Eventually, I gave up and just rode the waves to the end. It was a fun ride and I read the book in one exhilarating rush. Watching You is highly recommended for thriller readers looking for a twisty read. 4.5 stars! Natalie and Will meet in law school, marry and have eleven-year-old Charlie when a family crisis threatens to break up their family in For Better and Worse. Natalie is suspicious that Will is having an affair. He is criticizing her appearance and organizational skills constantly. Will has also lost weight and started working out. However, infidelity pales in comparison to their son’s revelation that his principal molested him. As a criminal defense attorney, Natalie knows how unfair the criminal justice system is to juvenile victims. She convinces Will their only option is to murder their son’s abuser without getting caught. Then things begin to spin out of Natalie’s control. If you dislike unsympathetic narrators, For Better and Worse is not a good choice. By the conclusion, I disliked all the characters except the dog. Narration switches between the ultra-organized Natalie and her self-centered husband Will. While I raced through the first half in one anxious swoop, the conclusion seemed unbelievable and rushed. However, I adored the twist in the epilogue. 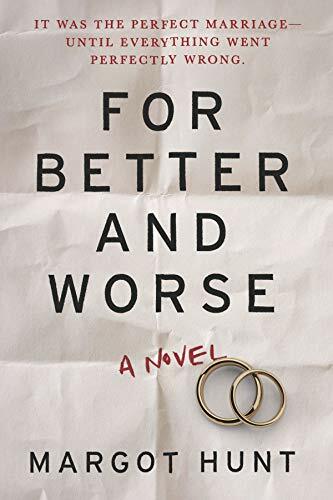 For Better and Worse has the potential to be a series. If so, I would be interested to read the next in the series. 3.5 stars! Thanks to Mira Books and NetGalley for an advance copy in exchange for an honest review. Stanley is dying. All any of his family are concerned about is whether he has set up a Family Trust and named them as trustees. Stanley is the domineering and occasionally abusive father of Kate and Fred. Their mother and Stanley’s ex-wife, Linda, is concerned that Stanley will leave his substantial estate to his new younger wife Mary rather than their children. Linda, Kate and Fred have romantic issues. The siblings work in the high stress Silicon Valley. Kate as a manager in an Apple clone and Fred in corporate venture capital. 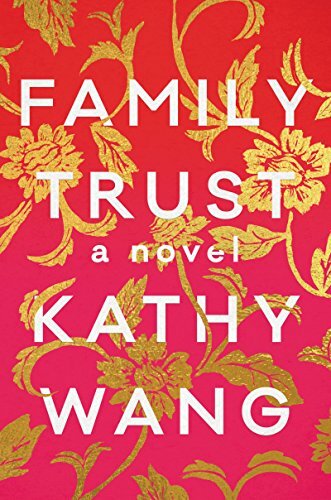 Family Trust is Crazy Rich American Asians set in San Francisco rather than Singapore. There is still the need for children to attend Ivy League schools, to have the best job titles and to leave a legacy behind. This book had more emphasis on careers, which I enjoyed. I especially liked Linda’s story of what it was like to be divorced later in life in Taiwanese-American culture. All the characters had intricate personalities that were totally believable and were well-matched to their actions. Family Trust is perfect for fans of family pathos or anyone who wants to immerse themselves in a different culture than that which is in most books. 4 stars! Thanks to the publisher, William Morrow, and Edelweiss+ for an advanced copy. Accomplished dual mysteries wrapped in an artful gothic atmosphere. 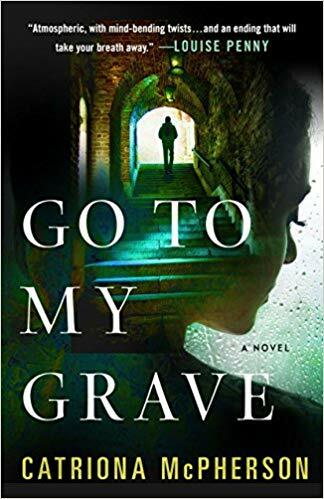 Go to My Grave tells the story of two parties that went horribly wrong. Donna and her mother spent their last dime opening The Breakers, a bed and every meal (rather than just breakfast), on the Galloway coast. Kim decides to have a surprise tenth anniversary party there with her husband Sasha and his six cousins. Little does she know that Sasha and his cousins spent another harrowing weekend there 25 years earlier. When someone begins leaving hints of what happened at the long ago birthday party, the cousins start to fall apart. Their pledge of keeping it in a box, stitching their lips and going to their grave with it clearly forgotten. Alternating between telling the tales of the anniversary party and the birthday party 25 years before, Go to My Grave has some extremely creepy atmosphere. There are several possible endings for each tale making the mystery intriguing. Some of the slang used was unique. Neither my Kindle nor I could figure some of them out. Overall, Go to My Grave is a first-rate gothic mystery for the windy fall days around Halloween. Perfect for mystery fans who want a touch of dread in their books. 4 stars! Thanks to Minotaur Books and NetGalley for an advance copy. The Witch Elm was an acceptable family drama but not much of a thriller. Toby is a lucky privileged jerk. His girlfriend, Melissa, is a sweet bubblehead. After celebrating his ability to talk his way out of a possibly career-ending mistake at work, Toby goes home. There he surprises two burglars, who promptly beat the tar out of him. While his broken ribs and tailbone will heal, his facial scars and head injury possibly will not fade with time. Toby’s lucky days are over. While recuperating, Toby stays with his Uncle Hugo, who is dying of brain cancer at Ivy House. When a skull is discovered in the Witch Elm, Toby decides to investigate. Toby is literally the worst detective ever. However, he does stumble over some secrets. 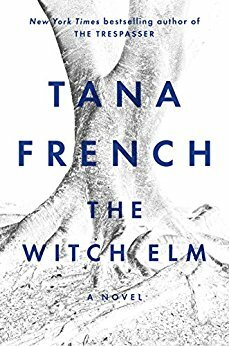 Overall, I didn’t like the pacing of the Witch Elm. It seemed overlong with an extremely slow build to the mystery. While the conclusion was shocking, I’m not convinced that it was worth the six hours of my time to get there. If this had been marketed more as literary fiction rather than a thriller, the pacing would have made more sense. However, it is hard not to rate this based on the author’s previous excellent Dublin Murder Squad series. The Witch Elm is recommended only for fans of family drama and literary fiction rather than mystery or thriller fans. 3 stars. Thanks to the publisher, Viking Books, and Edelweiss+ for an advance copy in exchange for my honest review. 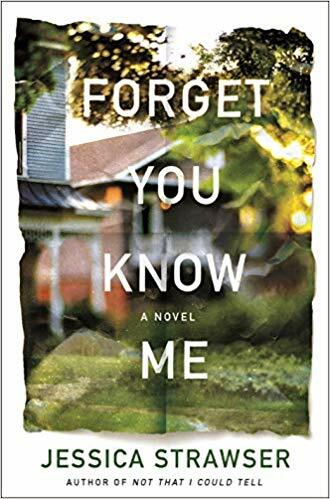 Marvelous psychological thriller that totally got Under My Skin. Poppy, a former travel photojournalist, now owns a boutique agency representing other photojournalists. Her husband, Jack, died a year earlier—attacked early one morning while running in a local park. After his death, Poppy had a nervous breakdown with a two-day blackout. Still seeing a therapist, Poppy realizes a mysterious man is following her. She is also having dreams of what happened during her blackout. She is downing both legal and illegal pills with alcohol. Is the person following her only in her fevered imagination? Is she going crazy again? The soporific mood of Under My Skin is addicting. It feels like the reader is dreaming rather than reading the story. There is also a strong feeling of apprehension of what the denouement will bring. It feels like finally discovering the reason for Jack’s murder will blow Poppy’s entire life apart. I’ve read a multitude of family thrillers. This is the best of the bunch. By the end, you are no longer reading about Poppy—you are Poppy struggling to maintain your sanity among increasingly untenable facts. 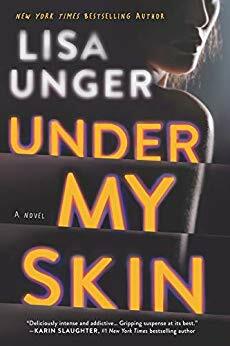 Under My Skin is an excellent micro-thriller. Nothing much happens on the surface but oh so much occurs in Poppy’s mind. If you have given up on sleep one night, this creepy little thriller is a perfect midnight read. 5 stars! Thanks to Hanover Square Press and NetGalley for an advance copy. Tear Me Apart is a well-plotted character-driven family drama filled with secrets and lies. It also deals compassionately with mental health issues, DNA, depression, adoption, cancer, suicide and cutting. Mindy, a 17-year-old downhill skier, is on the fast track to the Olympics when a sudden snow flurry makes her clip a flag and break her leg horrendously. While in surgery to fix her leg, it is discovered that she has the most virulent form of leukemia. DNA is taken from her mother, father and aunt. Mindy is not a blood relation to any of them. The story of Mindy’s birth is slowly revealed, along with exposing many family secrets and lies. I liked this twisty family drama even though I guessed the ending early. 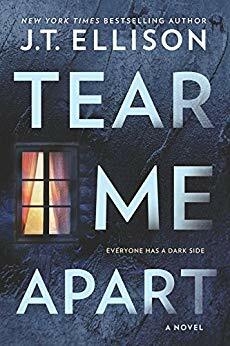 Tear Me Apart is recommended to both thriller and psychological suspense fans. 4 stars! Thanks to the publisher, Mira, and NetGalley for an advanced copy. It is amazing such an accomplished thriller with multiple plot lines was written by a debut author. 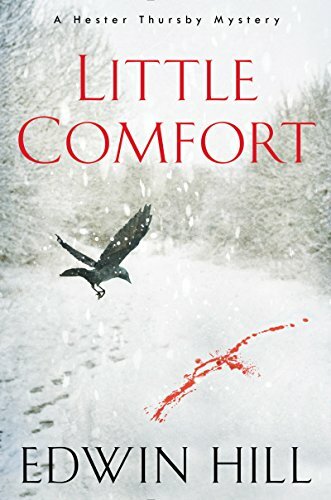 Kudos to Edwin Hill for the marvelous PI/thriller/family drama, Little Comfort! Hester lives in a separate apartment in the same building as her boyfriend Morgan. Morgan’s twin sister, Daphne, and her three-year-old Kate live in the third apartment. Daphne leaves Kate alone in Morgan’s apartment with a note stating she would return in an hour. Three months later, Daphne is still missing. Hester has taken on primary caregiving activities for Kate forcing her to take a leave of absence from her job as a librarian at Harvard. When she gets a new client in her private missing person service, she begins investigating her client’s missing brother, Sam. Sam disappeared 12 years ago when only 15 with his best friend, foster child Gabe. The only clue are bi-monthly homemade postcards of locations around the US. All include cryptic movie quotes. What begins as a simple missing person case quickly escalates into a deadly cat and mouse hunt. Little Comfort ratchets up the reader’s dread with parallel storylines from five points of view. This book approaches a familiar plot from a different perspective. As the characters’ motivations are reluctantly drawn out even originally unsympathetic characters make the reader empathize with the choices they made. Little Comfort is highly recommended as an emotion-riddled original reworking of the thriller genre. 5 stars!